With Thanksgiving tomorrow, it is nice to take a moment to think about what you are thankful for. Like many, I am thankful for family, friends, and my health. But there is another thing I am thankful for that is unique to me: I am thankful to be working with the best DWI lawyers in Minnesota. 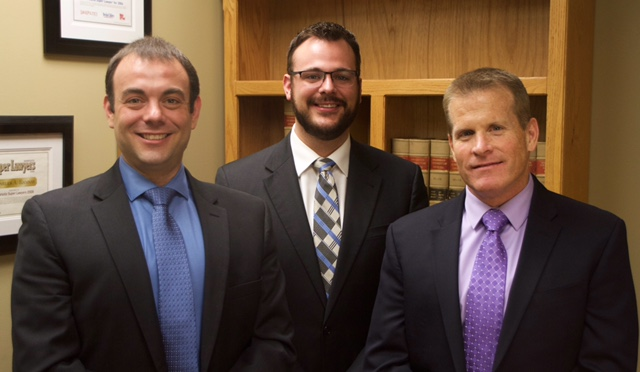 This is not a shot at any of the other great lawyers in the state, but in my mind Chuck Ramsay and Dan Koewler have the best track record for defeating DWIs and helping their clients get their lives back on track. You see, in February of this year I met Chuck and after a few meetings it was made clear the firm was interested in adding me to the team. The thought of joining Chuck and Dan was exciting; I knew I would be joining the best DWI lawyers in the state and I would learn a lot. Still, it was a difficult decision. I had a comfortable job and taking the position was a big change for me and my wife. After taking weeks to consider my options I decided to go for it and I took the position. Call me melodramatic, but I am very thankful that I did so. Since I joined the firm, we have successfully argued at the Minnesota Supreme Court and defeated all DWI blood and urine test refusals. This decision has greatly affected hundreds of other DWIs that are still being litigated. We (okay, Dan) wrote an Amicus Brief to the United States Supreme Court in the Bernard case. We also won a published opinion in the Court of Appeals that now allows drivers to challenge test results at the 0.16 level, which would result in license plate impoundment and longer driver's license revocations. Using what I have learned I, myself, have argued three cases at the Court of Appeals. The first decision was a victory for us and the two still yet to be decided are expected to have similar results. Additionally, we have defeated countless DWIs. The creative defenses used have ranged from improper observation periods to physical inability. But our most notable defense, the one Chuck and Dan developed in Minnesota, are the scientific challenges to breath tests. Chuck and Dan have spearheaded the issue of invalid breath tests results. They pushed the BCA to provide measurement uncertainty range with breath test results, instead of assuming their measurements were 100% correct (which everyone knew they weren't). After a few victories, the BCA cried uncle and provided the measurement uncertainty. I strongly suspect many attorneys would have stopped there, but not Chuck and Dan. We continued to dig deeper until we found where the BCA was still masking the deficiencies of their tests. Using this we fought more and more cases and received more victories for our clients because their test results over .08 did not show they were actually over .08. But this firm is not defined just by our victories, we also pride ourselves on taking care of our clients --not just their case, but the client as a person. We understand the penalties the state places on DWIs make it hard to simply live day-to-day. Therefore, all of our strategies are focused on getting our client's lives back on track as soon as possible. One poor decision should not define anyone. Chuck and Dan also are very giving with their time. Not only am I able to bug them anytime with questions or ideas, but they use their personal time to meet with and teach other defense attorneys the issues they have developed. Whether it is teaching a CLE or a private meeting, they are willing to help others in our profession. And, in my opinion, this willingness to help others without any personal gain in return, shows their true character. I am proud to work with both of these guys. So that is what I am thankful for. I hope you have much to be thankful in your life as well. Have a happy Thanksgiving and please remember that tonight is one of the busiest nights of the year for bars: plan a sober ride and stay safe! !